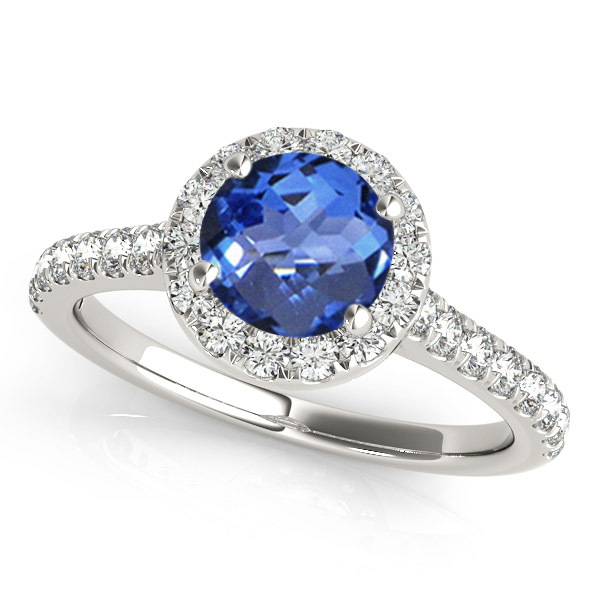 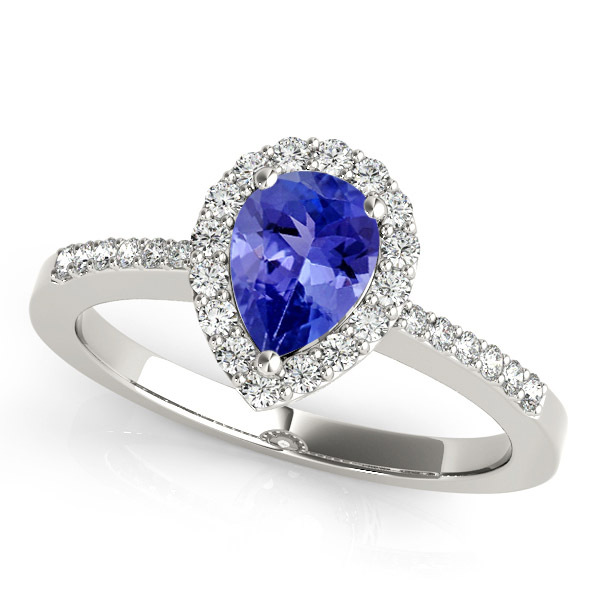 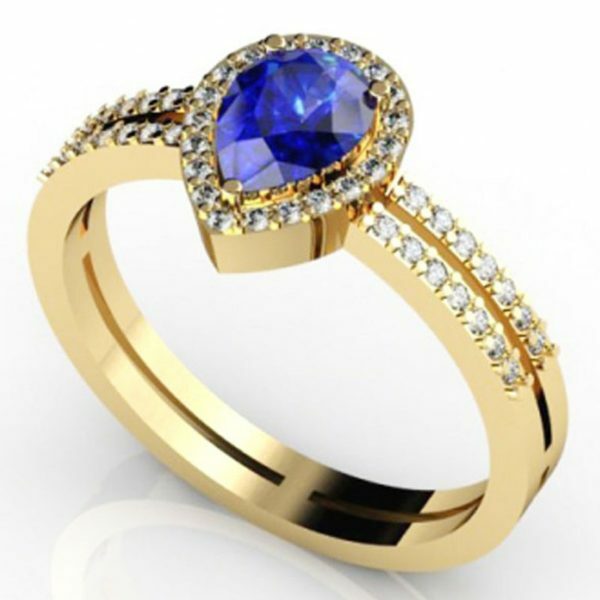 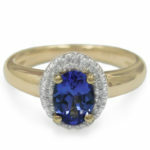 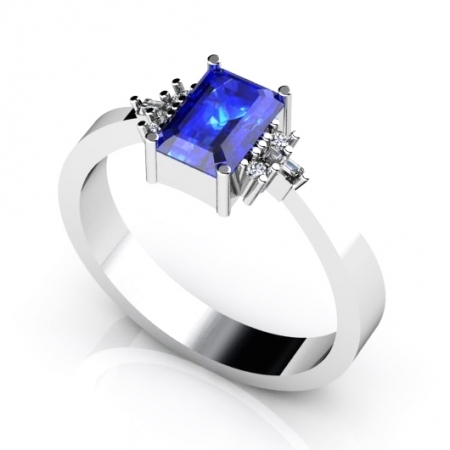 A Round cut tanzanite of 0.78 carats with 32 diamonds in 14k white gold renders it a stunning appearance. 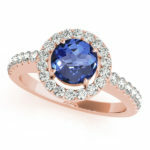 It can go well with sizzling evening attires and looks enticing when adorned in delicate fingers of females. 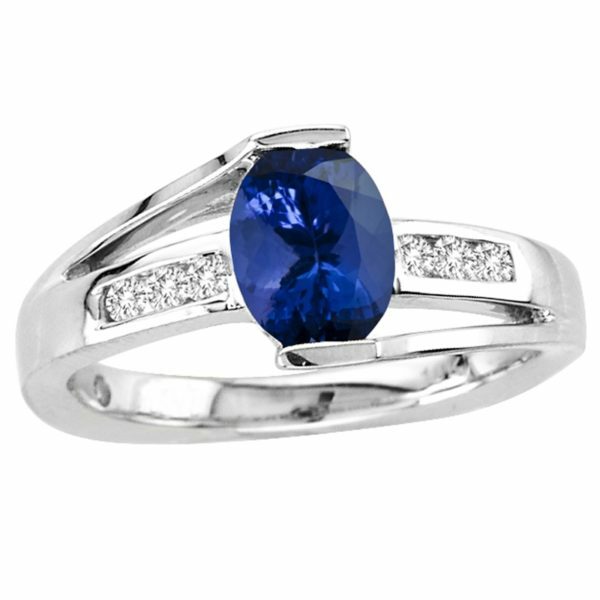 It can turn the heads around in the party with its sizzling look.